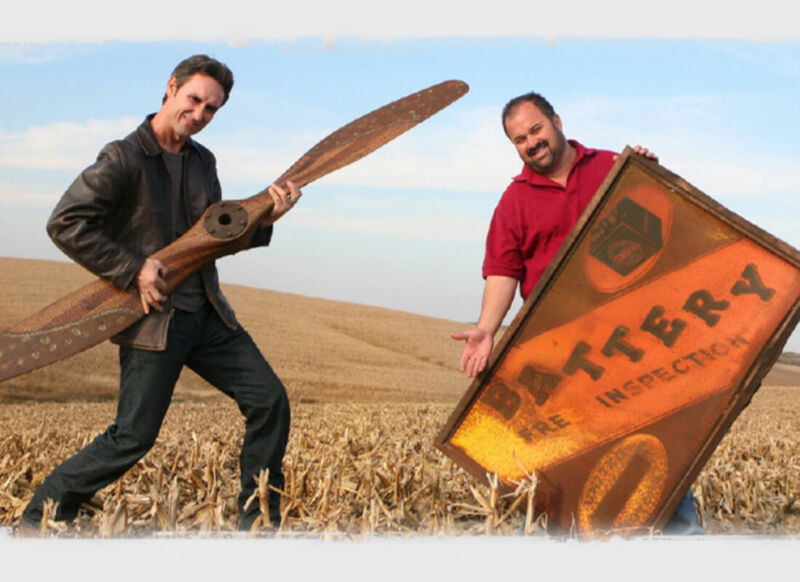 American Pickers is a reality show on the History Channel. It follows Mike and Frank as they travel the country buying antiques from people’s private collections. You never know what you’re going to find in a barn or an attic or a garage. The show is full of oddities, and I don’t just mean the artifacts. Keep reading to learn secrets you never knew about the cast and crew of this hugely successful series. On the show, Mike and Frank seem like fair businessmen. They never want to seem like they’re giving someone a bad deal or taking advantage of their lack of knowledge. Things aren’t quite what they seem, though. Apparently, it’s common for the crew to agree on a price with the guest, only to have Mike and Frank try to haggle them down once the cameras start rolling. Anything for a bit of drama, I guess. 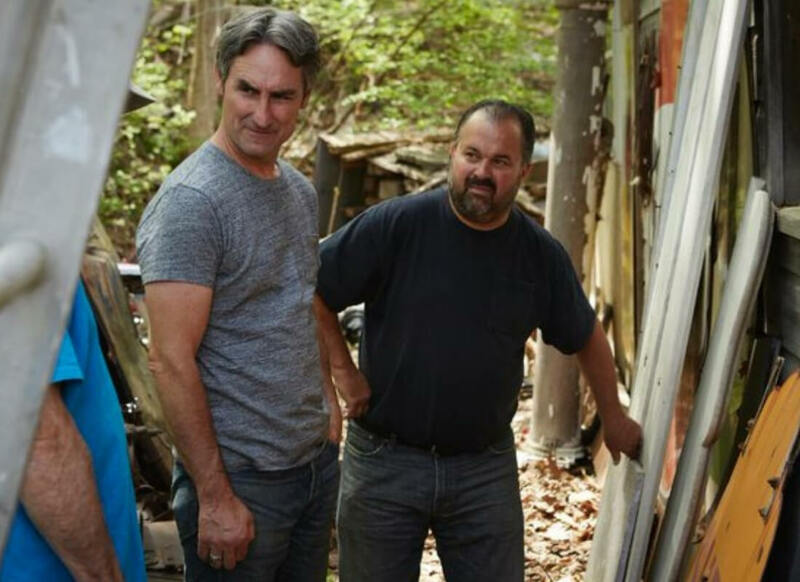 It looks like Mike and Frank are running this whole antique operation, but in reality, the producers are the ones who are really scouting out locations and negotiating deals. 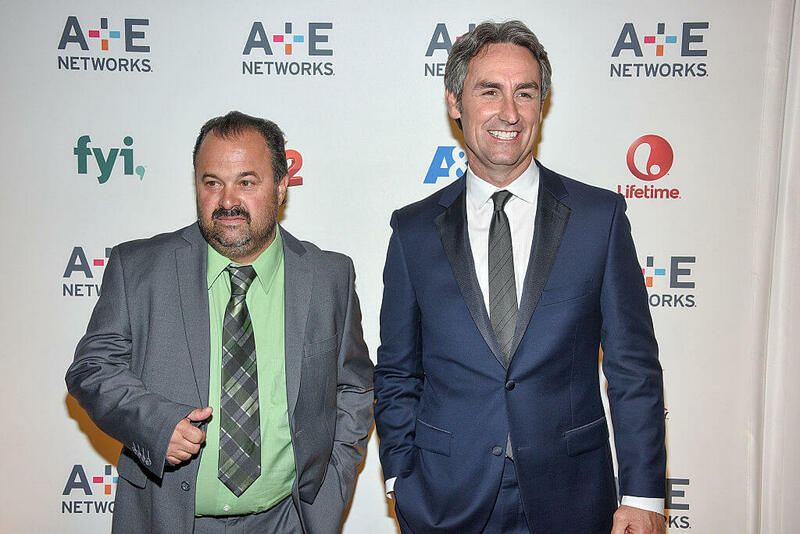 Many people who’ve worked with American Pickers have claimed that the producers actually work out prices with guests ahead of time. They agree on the price, then tell the seller to ask for more money so they can capture negotiations on camera. 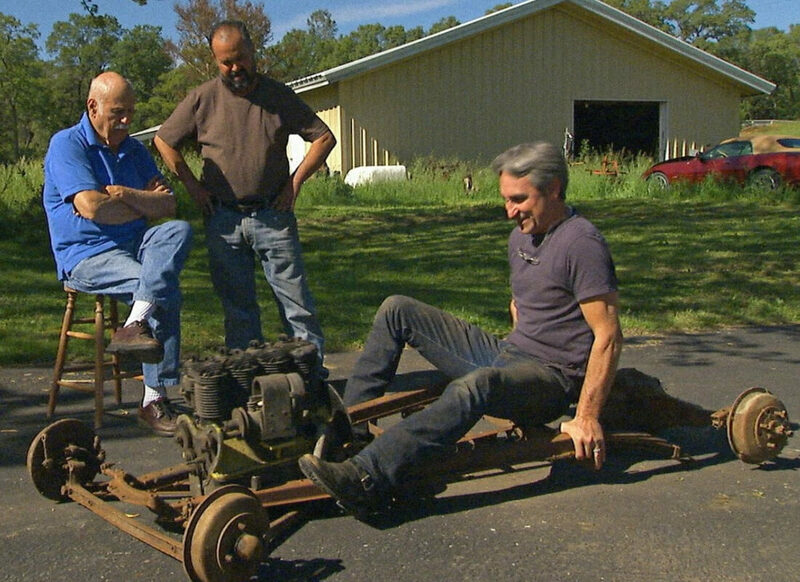 At one point, Frank got caught up in some legal trouble over an old piece of farm equipment. 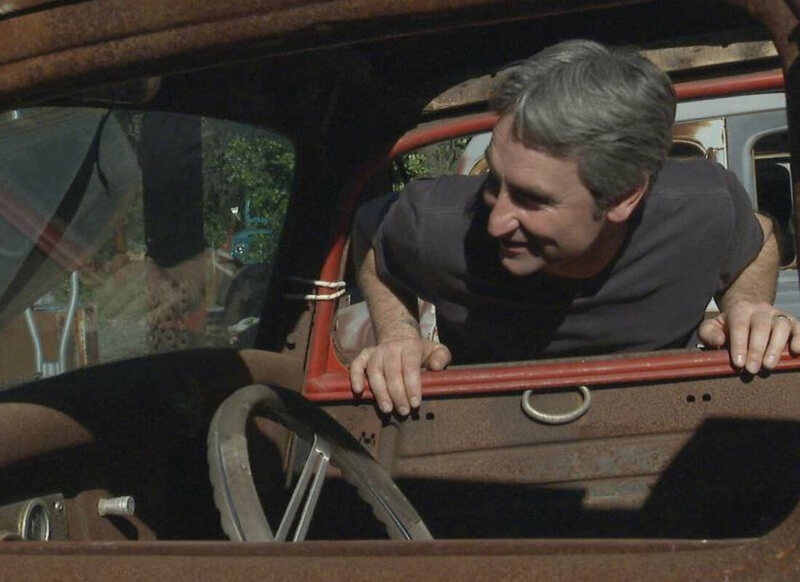 Jerry Bruce of Greenville, SC, saw a polarimeter on an American Pickers episode. He wanted to buy the polarimeter and he and Frank agreed on a price of $300. Bruce paid for his antique, but he never received it. Frank never cashed his check, but that was enough for Bruce to take him to court and win. Danielle may be the team’s right-hand lady, but that doesn’t mean that she doesn’t have a side hustle. Before and during filming, Danielle had a successful career as a burlesque dancer. She even owns her own burlesque boutique called 4 Miles 2 Memphis. Burlesque is sort of a vintage art form, so it’s a nice complement to antique picking. Staging is a huge issue for all reality shows. 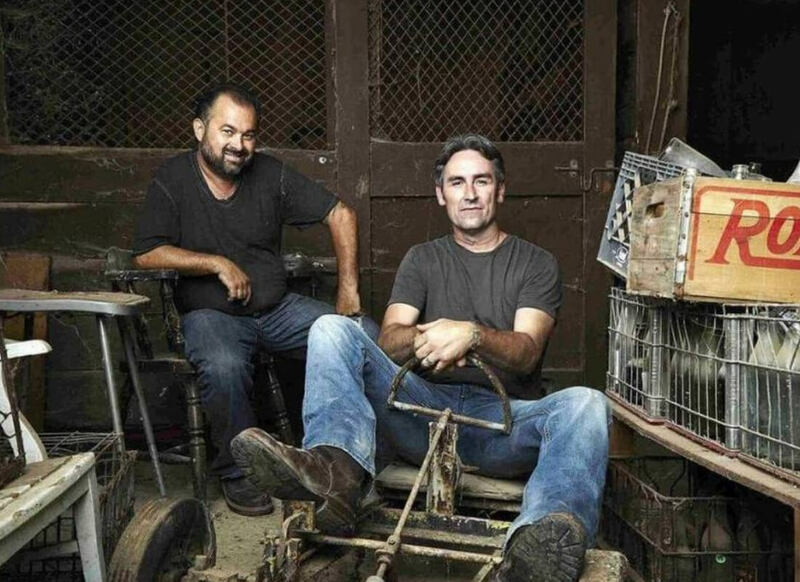 A lot of people have claimed that American Pickers plants big-ticket items in their guests’ garages, homes, and storage units to make the show more interesting. People who’ve had firsthand experience with the show actually confirm these claims. 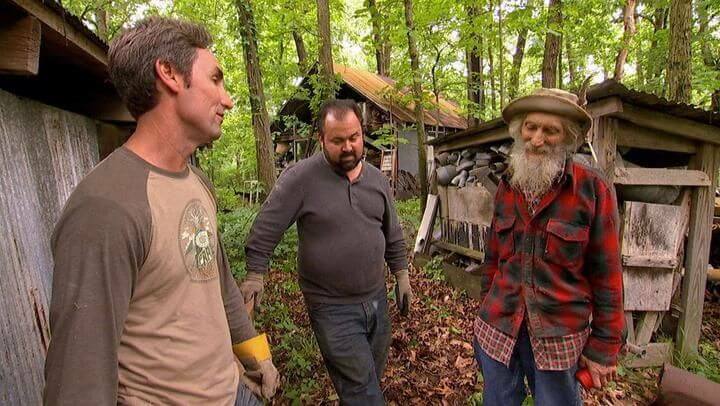 Hobo Jack is a recurring guest on American Pickers and a fan favorite. Did you know that he’s actually an author who’s published multiple successful books? He’s also released several albums that are available for purchase on his website. Hobo Jack is an all-around artist. Mike has written a few books too, but Hobo Jack’s got way more attention. Danielle makes quite a bit of money from her work on the show and as a business owner, but apparently, she forgot to give the government their share of her earnings. We all have to pay taxes. Sorry, Danielle, it’s just a fact of life. In 2013, Danielle received her first notice of overdue taxes. According to the IRS, she owed almost $6,000. Rember Mole Man? He only appeared on one episode of the show, but he became an instant fan favorite. Someone in a nearby town decided to jump on Mole Man’s success and use his name to sell a few collectibles. They advertised a sale that would feature multiple authentic Mole Man collectibles, including autographs, antiques, and much more. Mole Man had absolutely nothing to do with this event. 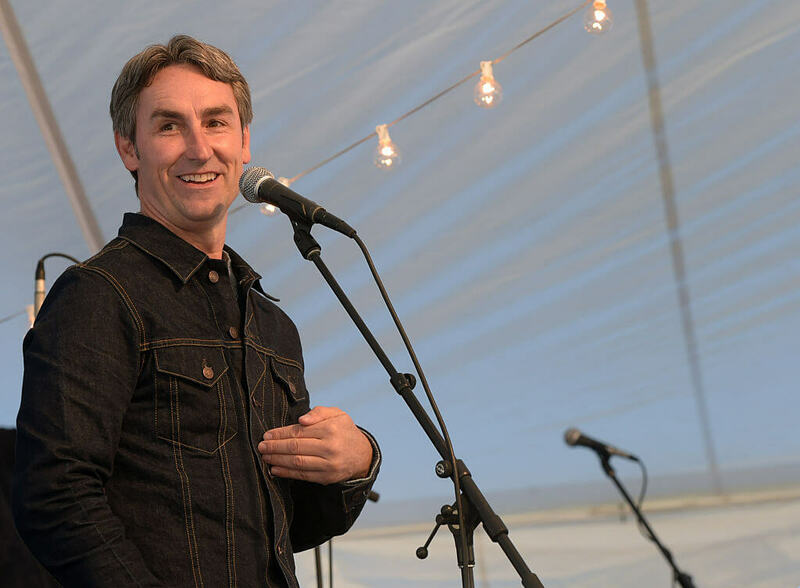 Mike Wolfe is definitely committed to the picking lifestyle. He eats, sleeps and breathes antiques. As for Frank, well, that guy just isn’t as interested. He wasn’t a professional picker before the show started. He’s a collector, but he definitely cares more about the money than the journey. 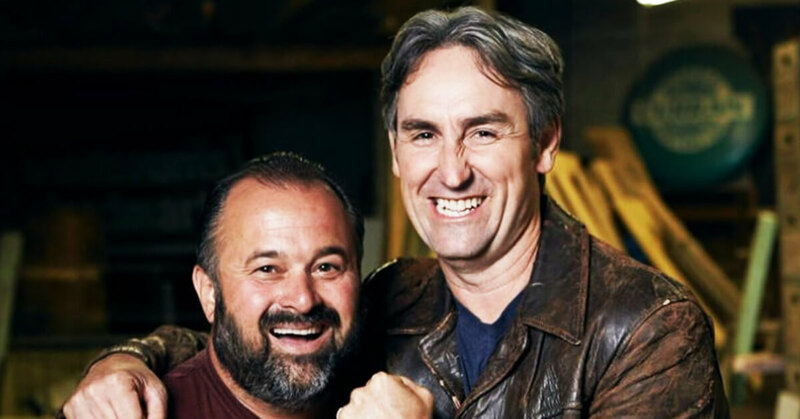 A lot of people who’ve actually met the American Pickers team have said that Mike and Frank aren’t so friendly with each other. Their mutual animosity might be so strong that it could cause the show to end. 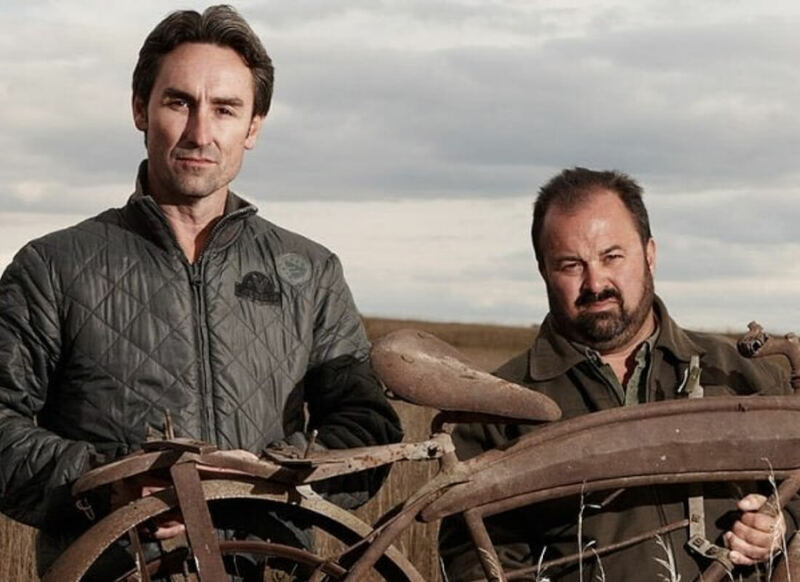 Mike Wolfe confirmed that the show might be coming to an end in an interview with an Iowa news station. He said that he wants to spend more time with his family. While there is absolutely no truth to these rumors, some fans have theorized that Mike and Frank are actually in a romantic relationship. Mike is married and he’s spoken about his wife several times on the show. Frank is pretty quiet about his personal life. These two are definitely not romantically involved, even if it does seem like they have great chemistry on-screen. 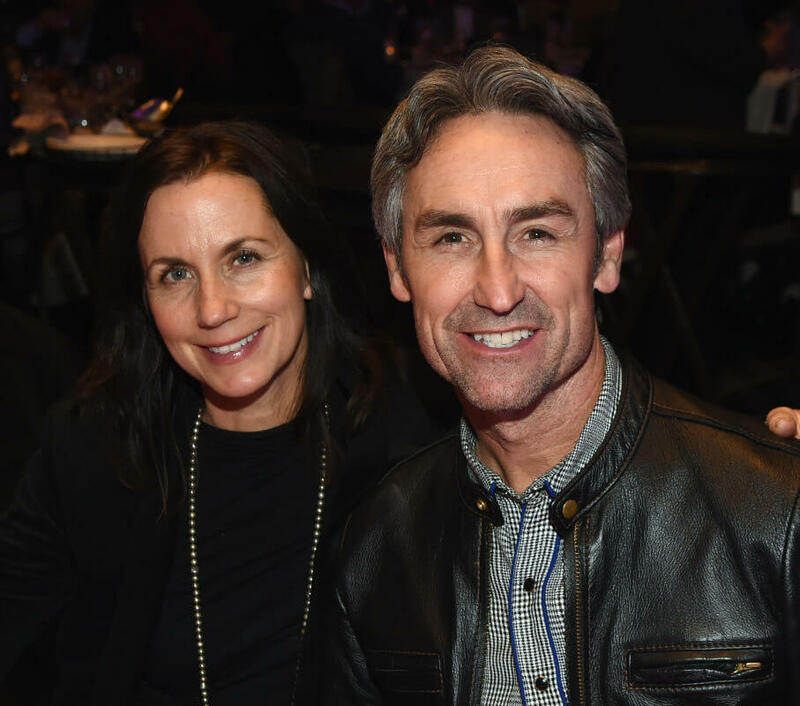 Even though the stars of American Pickers have a sort of “everyman” vibe, they’re actually quite wealthy. 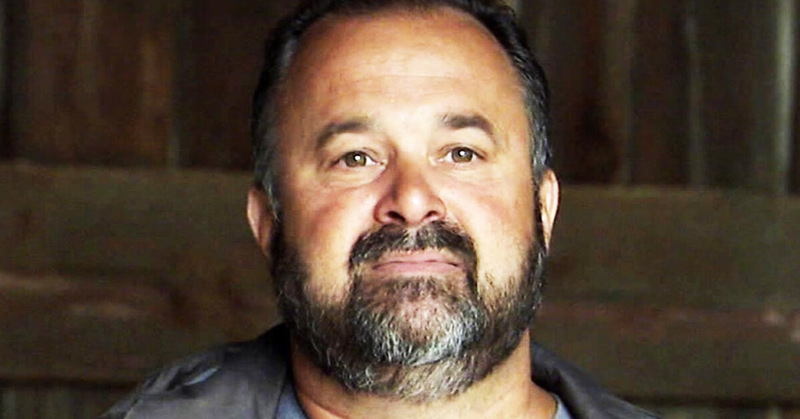 Mike is the richest of the crew by a significant amount. He has multiple investments outside of the show and he’s really good at this antique selling thing. 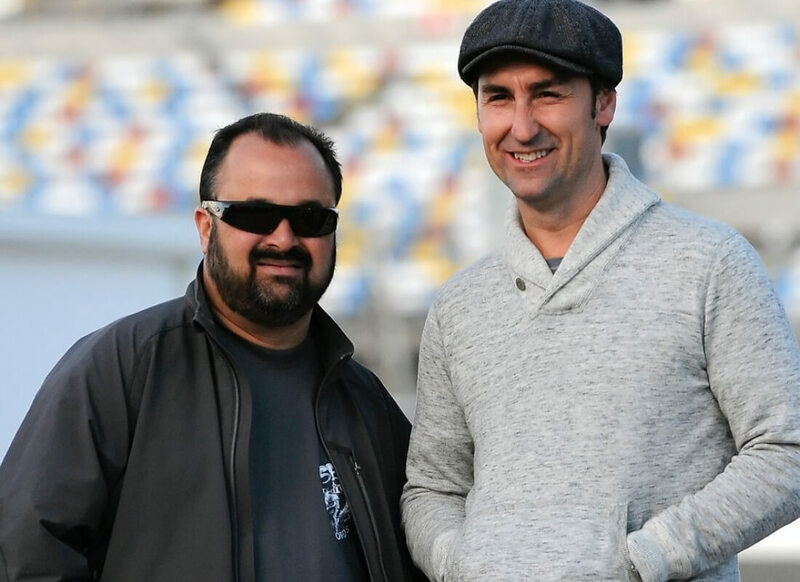 Both Mike Wolfe and Frank Fritz receive $500,000 each season. 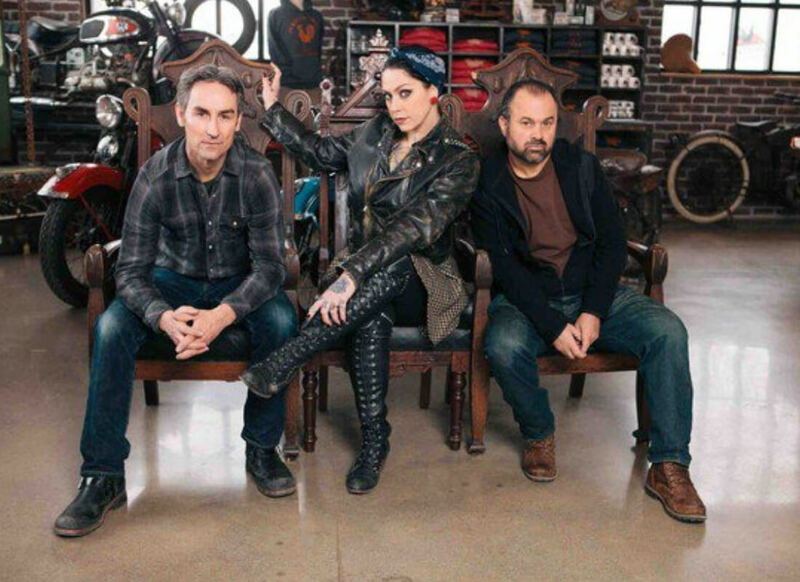 American Pickers is a reality show, which means that there’s always a bit of acting involved. A lot of the driving scenes in the show are totally staged. Sometimes they don’t even get to their filming locations in that van. It’s just B-roll footage to set up the story. The banter isn’t exactly scripted, but it’s not natural either. 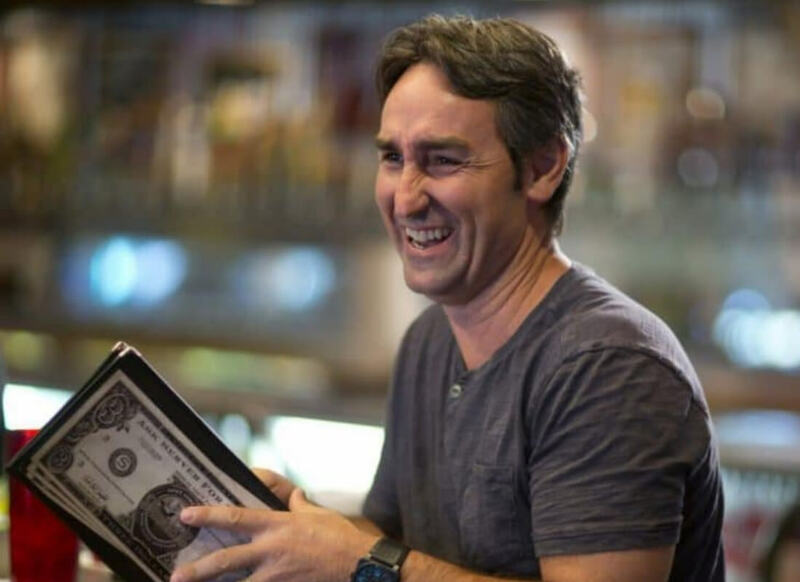 Mike Wolfe is so good at picking because he’s had years of practice. His passion for junk started when he was just a kid. He found an old bike and sold it for five dollars. Then he started looking for more bicycles. He bought one from a farmer for $50 and sold it for $5,000. Mike’s daughter Charlie was born with a cleft lip and palate. This birth defect didn’t allow her mouth area to join together properly. Charlie received amazing care, and because Mike is wealthy, he was able to pay for her surgery. Other families dealing with this condition may need financial help to get the treatments their kids so desperately need. Wolfe decided to become an ambassador for Operation Smile, an organization that provides free surgeries to children worldwide who are afflicted with the same condition as his daughter. The melody he came up with features part of a song by the band Reckless Sons. CBS bought the pilot, but I don’t think we’re going to be seeing it on TV anytime soon. This show has become so popular that other countries have attempted to make their own versions of it. Both Canada and Australia have their own versions, and the Canadian show lasted for four seasons. Aussie Pickers didn’t last as long. The show also airs in Spain, Israel, Romania, and the UK. Even though a lot of the drama in this show comes from Mike and Frank arguing with guests about pricing, not many of the prices are ever in question. The producers determine the prices before they even start shooting, giving buyers and sellers little wiggle-room for making a deal with Mike and Frank. A lot of the time, the deals heavily favor the pickers. Look, we can all agree that a lot of the show is fake, and you have to be skeptical when you’re watching reality TV, but does that really even matter? Even if they stage scenes and plant items, there’s no faking the history of some of these items. It really is all about the antiques. Co-host Mike had an interesting worry. He was concerned that kids wouldn’t want to follow in his footsteps in picking, refurbishing, and selling things. He battled this concern with a clever idea. 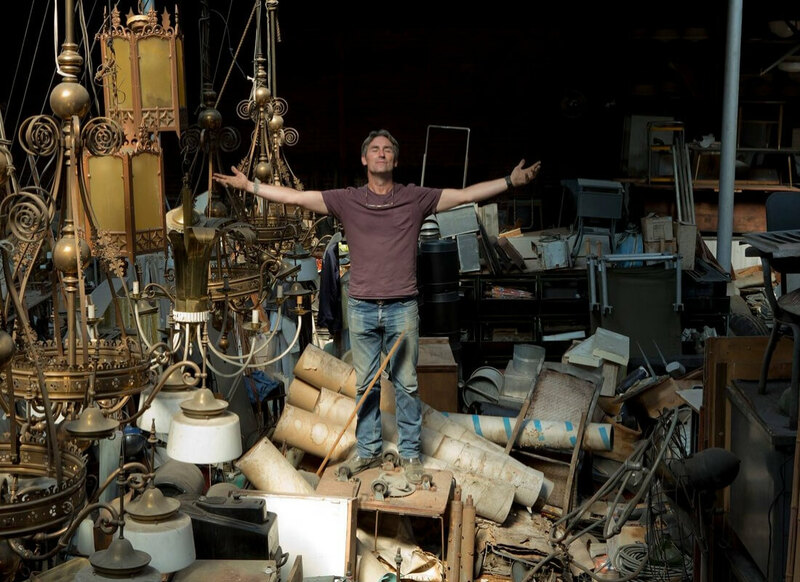 Mike decided to write a book called Kid Pickers: How to Turn Junk into Treasure. Someone is bound to read it. Where Did Mike And Danielle Meet? Mike and Danielle have been long time friends. They didn’t just come together for this show which makes it an even better story. Mike and Frank are usually clever spenders the majority of the time. When it comes to finding their heirlooms and collectibles, they usually only spend around $25, or even up ton $60. However, that number increased substantially in 2017. 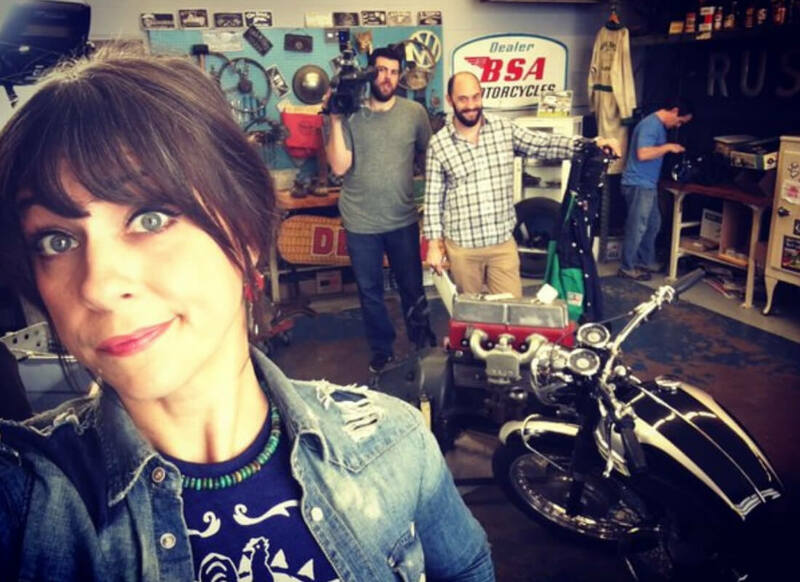 The duo purchased their most expensive item yet when they bought a $90,000 1930 motorcycle. There are certain people that watch a show because they know what they’re going to get. Producers and everyone involved continuously give them what they want, appealing to their target audience. 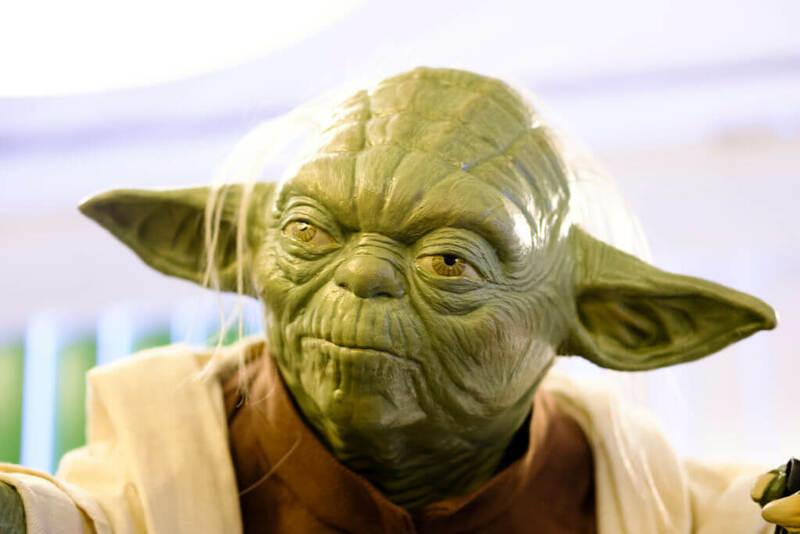 One time, Frank and Mike reached outside their usual suspects when they bought the original Yoda prototype which Mario Chiodo made. They paid $6,250. 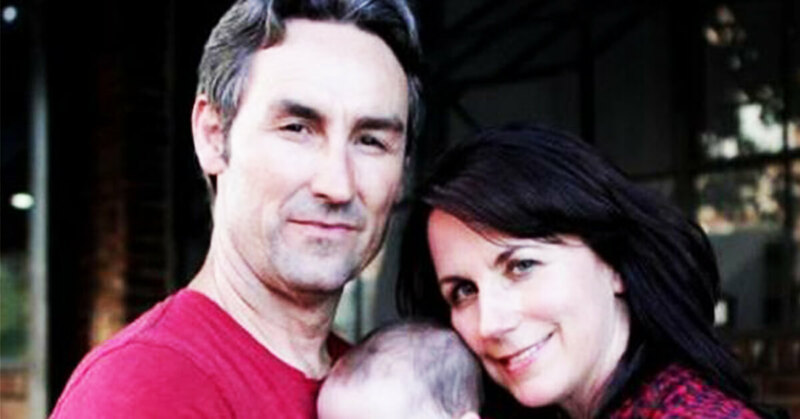 Like all great things, American Pickers eventually began to pick up a lot of attention, and not just from viewers. 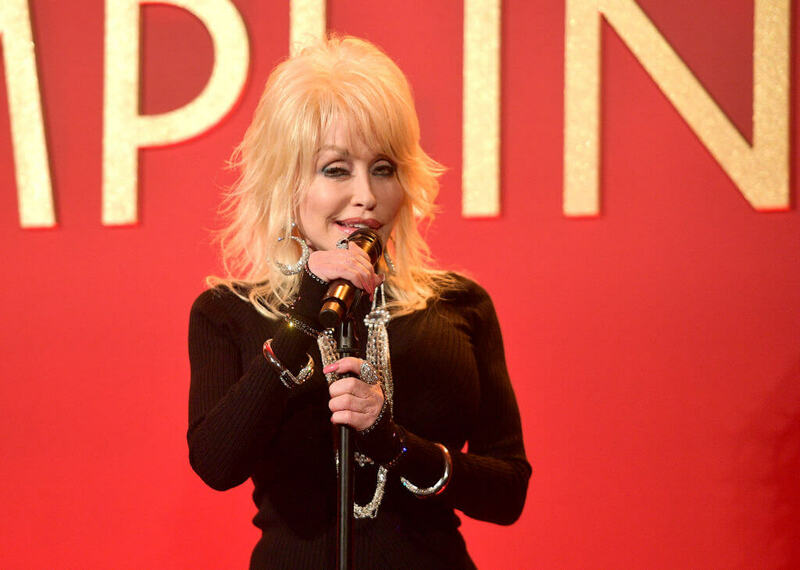 Celebrities began picking up on the show and that included the likes of Dolly Parton. Parton contacted the Pickers so they could buy some of her stuff. When she did that, she and Danielle became friends. One of Danielle Colby’s favorite things to search for are vintage costumes that were worn by dancers and actresses back in the 1800’s. The category is extremely niche, making any of these finds a true treasure. Colby has come across “a very rare costume from Lillie Langtry of the 1890’s” as well as “an original early Mata Hari stage costume from 1920-20 and a banana skirt believed to have belonged to Josephine Baker.” Finding these rare stage costumes from over 100 years ago is a huge thrill for Colby. 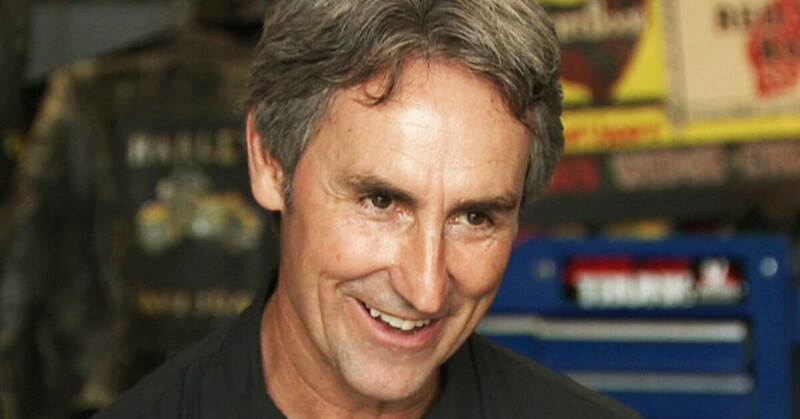 Frank Fritz is an auto enthusiast, and loves motorcycles and cars. He unfortunately lost his license after a scary incident in July 2017. Fritz was driving his truck the wrong way on Interstate 80, in Iowa when he was pulled over by police. They found alcohol and Xanax in his system, and he plead guilty for an OWI, Operating While Intoxicated. Thankfully, no one was hurt, and Fritz signed up for a substance evaluation program in addition to probation and court fees. 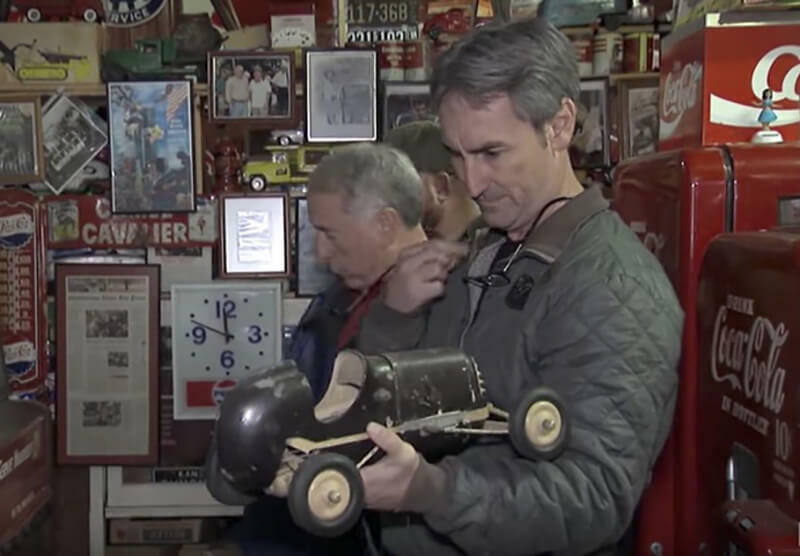 In episode 13 of season 19, the American Pickers crew came across a piece of rock and roll history in the woods of Massachusetts. The team connected with a man who found a van that belonged to the band Aerosmith in their early touring days. Guitarist Ray Tabano, one of the founding band members confirmed that the 1964 International Harvester Metro van was authentic, and they used it to tour in the 1970’s. Aerosmith used the Harvester Metro when they were a struggling band playing gigs around Boston, looking for their big break. 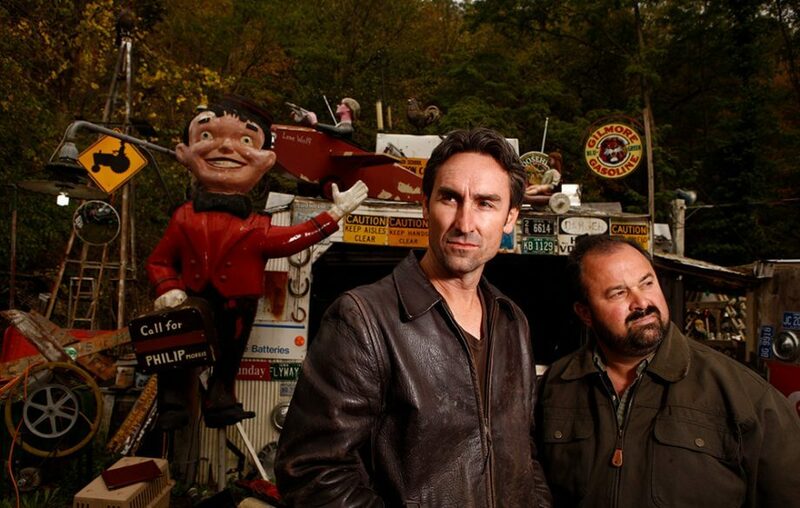 The owner of the van, a man named Phil, sold van to American Pickers for $25,000. Another piece of music history that American Pickers got their hands on was a guitar that belonged to one of the greatest country guitarists of all time, Chet Atkins. 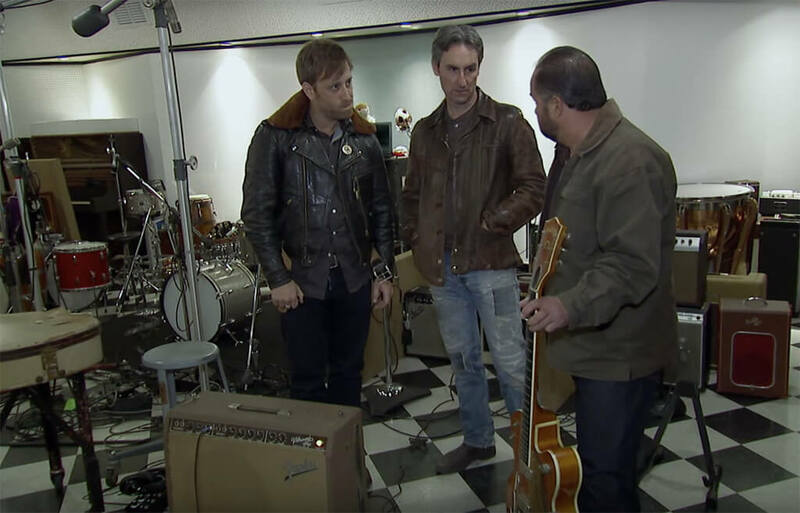 A resident of Nashville, Atkins’ guitar made it into Mike and Frank’s shop, and Black Keys guitarist Dan Auerbach had his eyes on it. Auerbach went to the shop and paid $9,500 for the 1958 Gretsch Chet Atkins 6120 guitar. 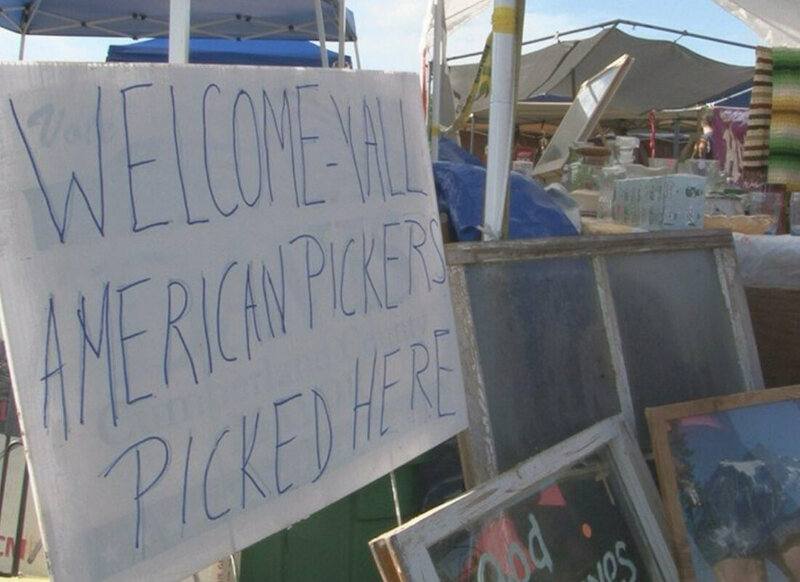 Basing their shop and searches in the Nashville area gives the pickers a good opportunity to find music history in their own backyard. And passing it on to the next generation of musicians makes it all the more meaningful. Part of finding antiques is uncovering and revisiting history. 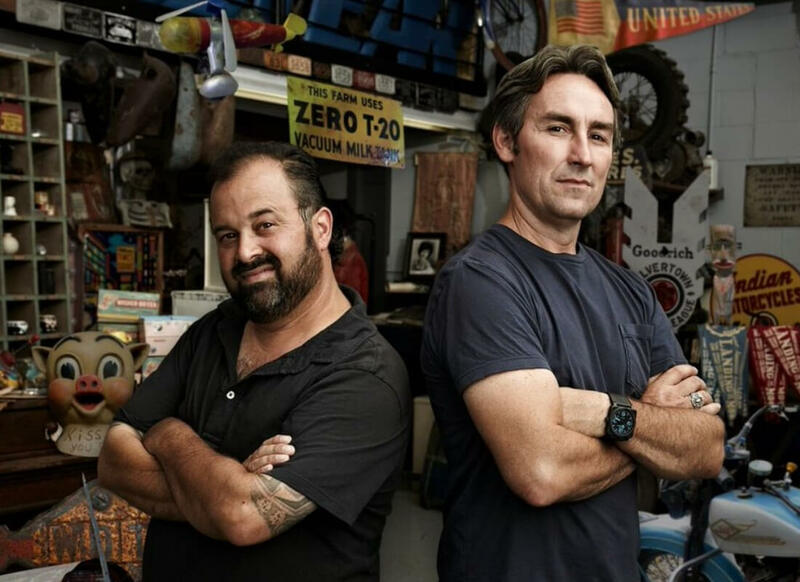 American Pickers met Toney Thomas, an automotive enthusiast who had more than a couple antiques Mike and Frank wanted to get their hands on. The Michigan resident showed them a pioneer automotive license plate from 1908, made of leather. 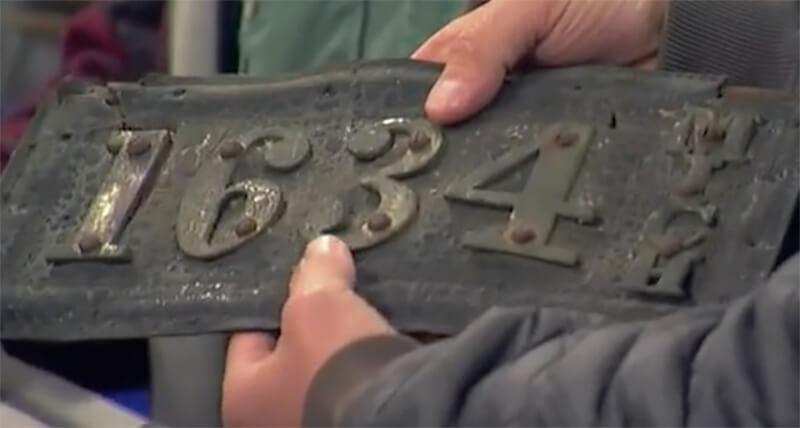 Before motor vehicles had issued license plates made of metal, car owners were given a number, and told to make it visible someway on their vehicle. An owner of an Oldsmobile opted to creating a plate from leather. The pickers paid $1,000 for the find. Up next, a piece of amusement park history. What do you do when a man known as “Balloons the Clown” calls you to take you on a tour of an abandoned amusement park? If you’re a picker, you go. Mike and Frank answered the call of Neal Fehnel, who brought them to an abandoned amusement park he purchased in Easton, Pennsylvania. Bushkill Park operated from 1902 until 2004 and houses the oldest fun houses in America. Fehnel bought it, and tried to keep it operating on some level, including an ice skating rank. 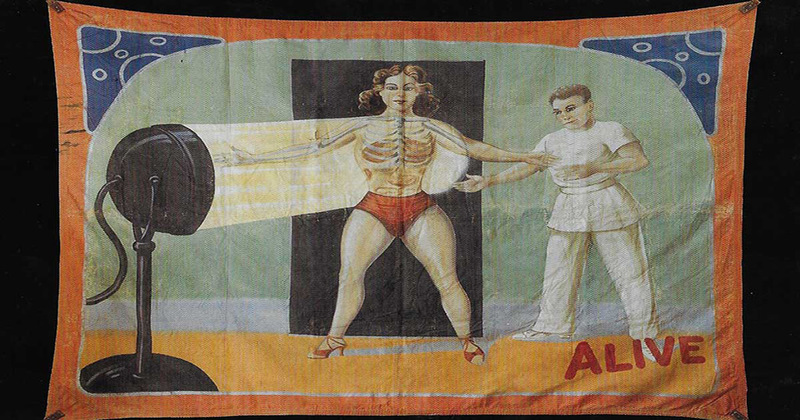 The pickers agreed to purchase an old slideshow banner for $5,000. Do you know what a tether toy car is? In the 1920’s and 30’s, Americans were slowly beginning to purchase cars and were fascinated with the automobile. During this era, people bought tether model cars. These small model racing cars were powered by mini internal combustion engines, and tied to a tether. Using a remote, the controller would hit the gas, and the car could reach up to speeds of 150 miles per hour. Mike threw down $1,100 for the model car, which is a prized find for any automotive enthusiast. People who love scooters can appreciate the next find. First manufactured in Italy in 1946, Vespa scooters reached the U.S. around the same time. It was a cheaper, more affordable mode of transportation in post WWII. Vespas were romanticized in Roman Holiday, showing Audrey Hepburn riding one side-saddle through Rome. They were also a practical means of transportation, as John Wayne rode one around the sets of Hollywood. 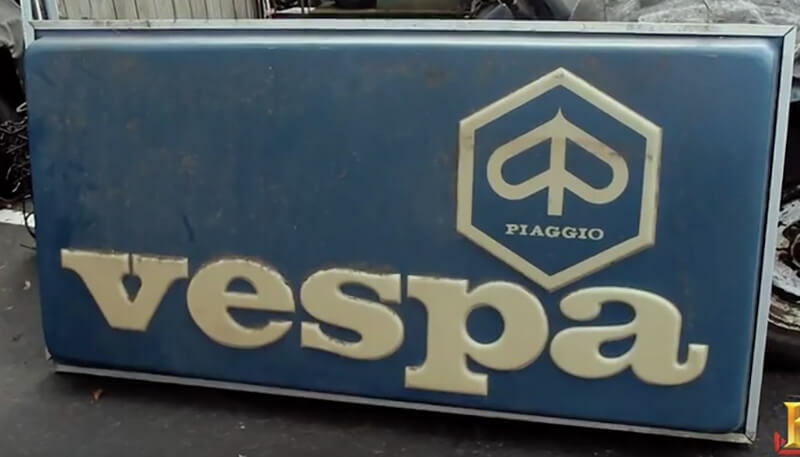 While in Florida, Mike came across a retro Vespa dealers sign, originating from the 1980’s. Mike is a fan of Vespa, and picked up the sign for $450. How about a pioneer motorcycle? 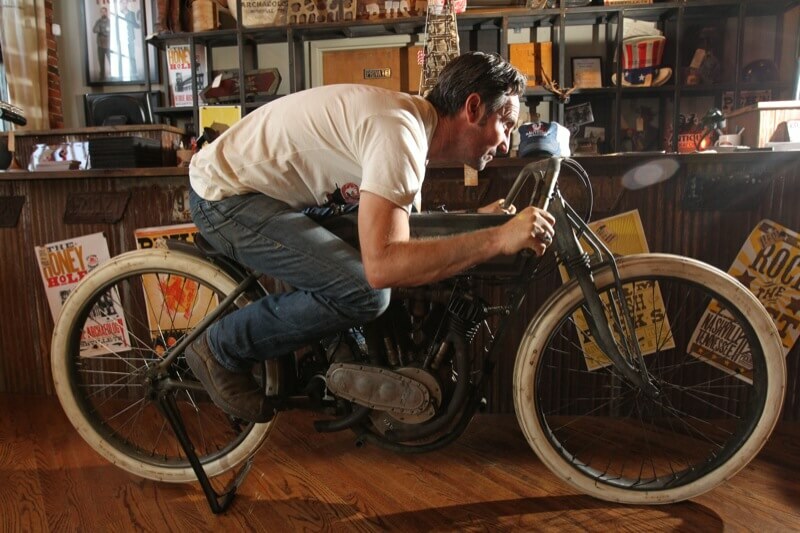 You might not remember that motorcycles used to look a lot different than they do today. Mike came across a Royal Pioneer motorcycle dating back to 1910. The motorcycle manufacturer only released a limited number of these models, since a massive fire took out their business. Mike found one of 500 that were made, and agreed to pay $55,000 for the motorcycle model, which was considered luxury at the time. It was a good deal, too, since he could most likely sell it for over $90,000. American Pickers helped William Shatner find what he was looking for. When William Shatner calls you asking for a favor, you answer. The actor was looking for something very specific to display in his garden. Shatner wanted a historic millstone, which was rock that was smoothed down and shaped into a circle, used for grinding grain. 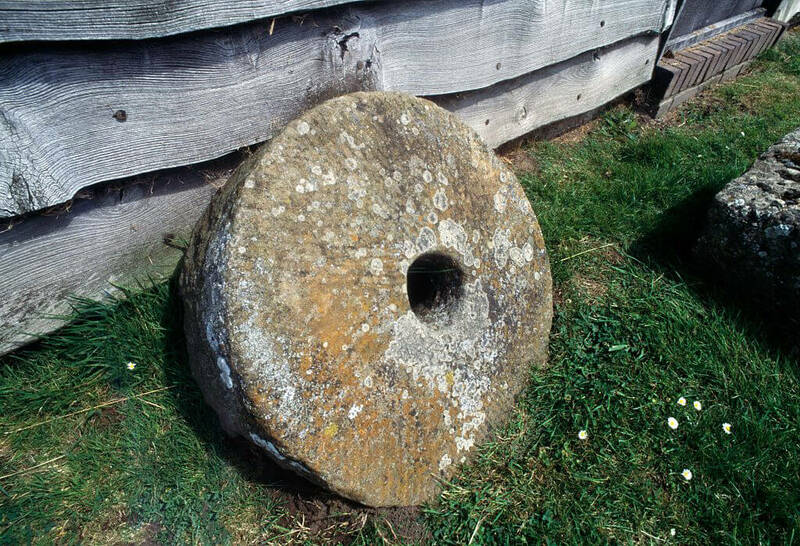 The Pickers were able to locate a millstone for Shatner, but the owner wasn’t going to let it go for cheap. They had to throw down $2,500 for the stone, which the owner said could even sell for $3,500. Jell-O has a long history in the U.S., and was once even deemed “America’s Most Famous Dessert.” Nearly every household in the country had Jell-O in their pantry by the 1950’s, as the brand adopted plenty of advertising campaigns to raise awareness of their product. 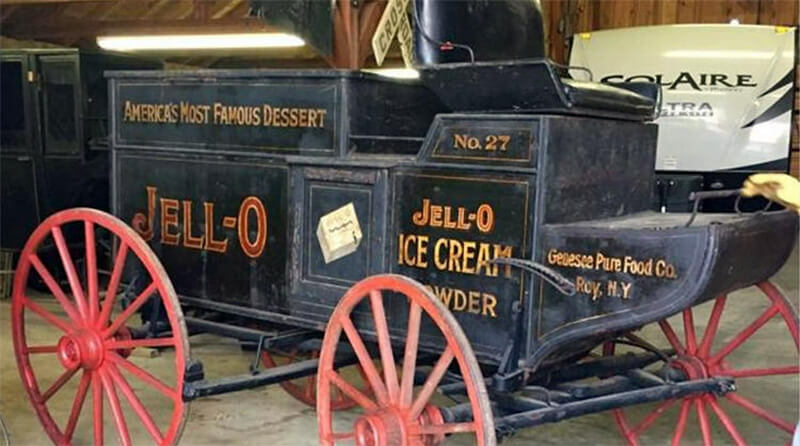 The Pickers purchased an original Jell-O wagon for $6,500, which Danielle found in a barn in Louisiana. They then sold it to be on display at the Jell-O museum in Le Roy, New York. See what one of the Pickers’ most expensive purchases was, next. Mike and Frank weren’t going to say no to purchasing rare Ace motorcycles, but it was going to cost them. While searching for finds in Pacific Northwest, the two met up with a car collector and came across three rare Ace motorcycles. 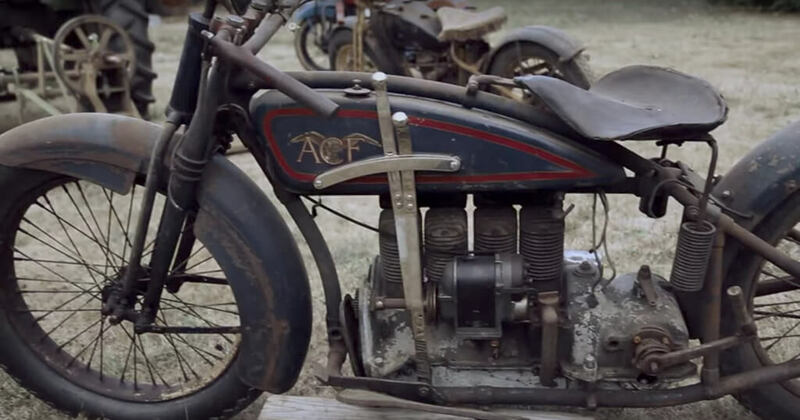 Ace Motor Corporation manufacturer motorcycles from 1919 until 1927. Not many of the luxury four-cylinder motorcycles are still around. And so the Pickers paid $90,000 for three of the models, which made it one of their biggest purchases to date. It’s rare enough to come across Model T, but this model is truly one of a kind. A man was in possession of a Model T car that belonged to his father. A skilled craftsman, the original owner hand-whittled the wood to customize the car in a way that no one had done before. The car was so beautiful, they all agreed that it belongs in a museum, instead of a garage. The Pickers offered to help the man get his father’s Model T into a museum where everyone could enjoy the priceless piece of art in wheels. It’s always exciting to come across a rare vehicle from a now-defunct automaker. The Pickers visited an old AMC dealership in North Carolina, where they came across two Nash-Healey model cars from 1954. Nash Motors was part of American Motors from 1954 until 1957, and they partnered with British sports car manufacturer Donald Healey to make this model. Only 506 of these were created, and the Pickers decided they would purchase the two vehicles for a total of $46,000. Do you know what a cyclecar is? Would you know what this was, if you came across it? The Cyclecar came out in the 1910’s and 1920’s as an affordable transportation option. It holds an important place in history, but was phased out when economy cars began to hit the market. The Pickers came across this Cyclecar, manufactured in London by the St Mark’s Engineering Co. It built with a 1169cc Henderson engine. They purchased this piece of history for $12,000.